Docile little Jimmy was just five months old when he came into our studio. He was such a content little baby, how was happy to go along with anything that we asked of him. We started the shoot out with some great family photos. Then moved onto Jimmy by himself. 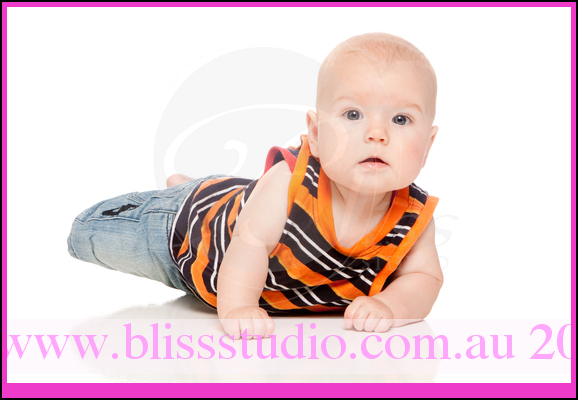 Though he couldn’t walk yet he was persistent in trying as mum held him up for some cute baby portraits. Soon after this it was time for Jimmy to have some nudie baby photos. He was very happy for these photos. He had a great time kicking about on our nice soft rug. 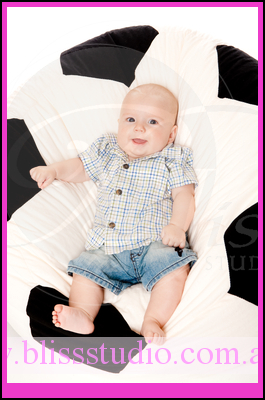 Then Jimmy finished the whole shoot up with some beautiful photos with mum and dad. Here are a few examples from the shoot.